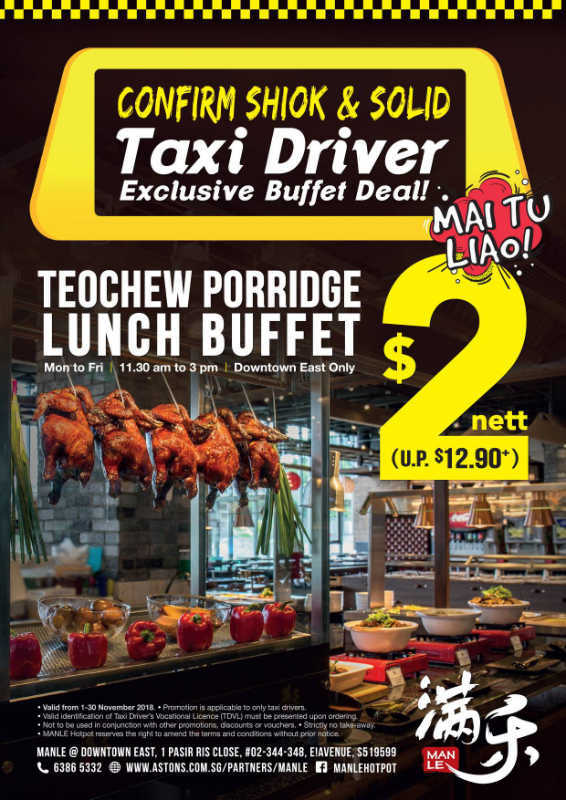 EXCLUSIVE for all Taxi Drivers – $2 NETT Teochew Porridge Buffet for the month of November! Where to find $2 buffet deal? Man Le at Downtown East is currently having this exclusive $2 buffet deal to the taxi drivers! It is only available to drivers holding TDVL and you are required to present it upon ordering.